En Masse has announced that in their upcoming Counterpunch Update for TERA, a host of content is coming for new/returning/current players. The biggest news is the brawler class opening up for human males, joining their female counterparts. The class will be the same and will still be identical in terms of power, and the punch-and-counter rhythm, male brawlers will have their own unique ability animations. In addition to the male brawler, the Counterpunch update heralds the return of the Ruinous Manor dungeon in both its normal and hard mode formats with fresh balance changes to provide a challenge for players looking for more casual dungeon experience and those who seek to put their skills to the test. attlegrounds in TERA will be receiving a brand new leaderboard system in the Counterpunch update, with players able to check their personal rankings directly from the main menu to see how they stack up to the competition. Seasons for these leaderboards are currently planned to last for 28 days, giving players a chance for PvP bragging rights each month. 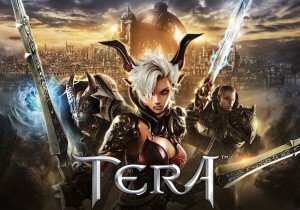 This update hits TERA on March 13th! March 13 – March 20: Log in to receive a free character slot, bringing the total number of characters per server up to 19! March 13: All players logging in will receive a free temporary set of Mechanic Weapon skins, with permanent version available in the store on March 15. March 17 – March 18: Log in during the Weekend Warriors Event for a free special lootbox. That’s it, no strings attached! March 13 – April 10: Male brawlers created and logged into during this time will receive one free ‘level up box’. The box will contain helpful items for new brawlers including experience boosts, elite status vouchers, free mounts and more! Bigpoint has made a major layoff that includes the shut down of its US operations in San Francisco. Warpportal is proud to welcome Record of Lodoss War!